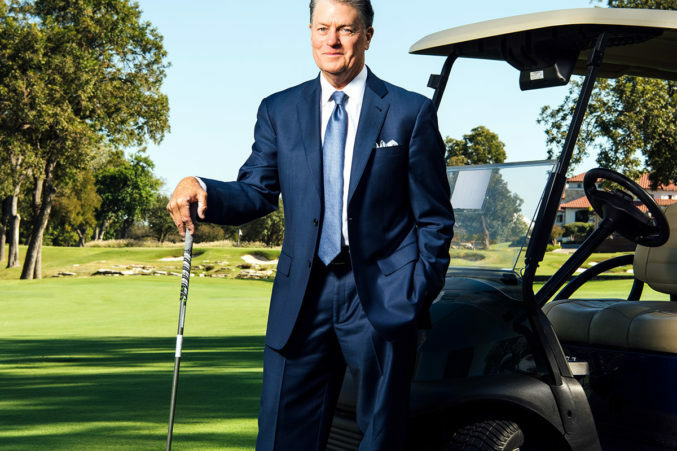 The Wells Fargo regional director on how golf taught him to referee himself and to recharge. White became serious about golf as a high school sophomore. He played in the 1968 and 1969 U.S. Junior Amateur Championships. His older brother had joined the Texas Tech University men’s golf team, but White had his eyes on a different future. “For some reason, I decided I wanted to be a dentist,” White says. His older brother advised him against playing golf while simultaneously shooting for straight A’s and admission into dental school. “He said, ‘I really think you need to decide what you want to do,’” White says. So White did the math and aimed for the lucrative path—dentistry. Despite having graduated from high school with 27 golf scholarship offers, he enrolled at The University of Texas at Austin, where he worked his way through school. But when he graduated, life took an unexpected turn. He didn’t get accepted to dental school. Three years after college, White played in a qualifying tournament for the PGA Tour in 1977 in Pinehurst, North Carolina. He fell two shots short of qualifying. He had spent years chasing his dream, was married, and was thinking of his long-term future. One of his golf sponsors was in financial services. “He said, ‘I think you can make a lot more money working for me than you can doing that,’” White remembers. And he had a track record to prove his talent. After regaining his amateur status in the ’90s, White played in the 1998 and 1999 U.S. Mid-Amateur Championships and the 1999 British Amateur Championship. Phil White says golf taught him at an early age to referee himself. Now it helps him recharge.